When you take a dip in your pool this spring, the last thing that you will want to see is cloudy water filling up your pool. Luckily, with a few routine pool maintenance procedures, you will be able to keep your pool water clean and clear at all times. A pool contractor that offers swimming pool maintenance near Salt Lake City will be there to answer any questions that you may have about how to keep your pool water clear. To help you determine what types of cleaning supplies you will need to purchase from your swimming pool company, let’s review some common causes of cloudy pool water. Your outdoor swimming pool is surrounded by items and materials that can cause cloudiness in the water. 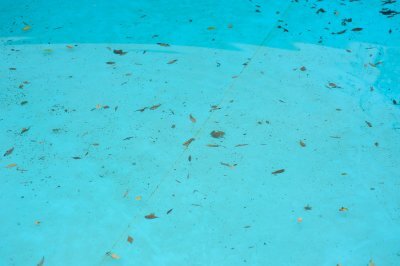 Some examples of substances that can cloud up your pool water include tree pollen, construction debris, and even unusual weather patterns. 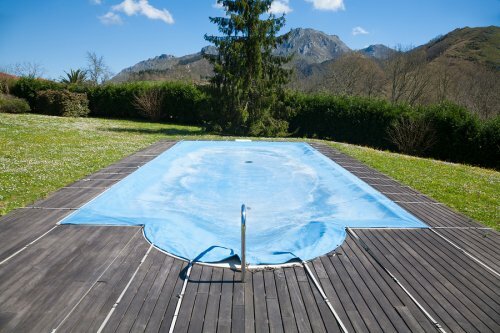 If you determine that your pool water cloudiness is being caused by environmental factors, you may need to purchase a swimming pool cover to protect your water from contamination. Your pool filter’s job is to remove algae, leaves, and other types of debris from the water in your pool. In the event that your pool filter breaks down, you may find that your pool water starts to look foggy or clouded. A pool maintenance technician will have the tools and knowledge needed to fix your broken pool filter and remove any clogs that might be jamming up its internal systems. While pool chemicals are necessary to keep your water clean, clear, and sanitary, using too many chemicals in your pool could result in cloudy water. If your water is too acidic, too alkaline, or filled with too much calcium, it might start to have a milky or cloudy appearance. To avoid problems related to swimming pool chemistry, you can use a pool chemical testing kit to achieve the right balance. If using a testing kit does not help you clear up your cloudiness issue, you might be in need of professional maintenance services. If you’ve been speaking with a pool contractor about swimming pool or hot tub installation, then you should also consider the inclusion of an outdoor kitchen into your backyard setting. Because of the favorable weather, outdoor kitchens in Salt Lake City are a particularly popular way of enhancing residential outside living spaces. Backyard pools provide your family with an excellent way to enjoy being outside during the warmer months. 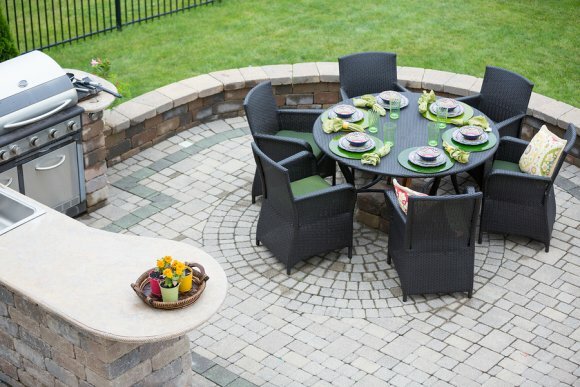 When you have an outdoor kitchen installed as well, you can look forward to fun-filled barbecues during which the whole family can be present. In addition, cooking outside helps prevent heating your home unnecessarily during the summer, and can also make cleanup easier after meals and get-togethers. Some of the fire features you should consider adding to your backyard include barbecues, ovens, fireplaces, and fire pits. Additionally, equipping your outdoor kitchen with a sink, refrigerator, and ice maker can make meal prep and party-hosting a breeze. When it comes to improving your backyard living space, outdoor kitchens can prove to be a wise investment.